Weight Loss requires patience, and lots of hard work to get to the desired goal. It requires you to engage in physical activities, and most importantly eat a healthy diet. Most health experts suggest adding fiber and protein-rich foods to your diet, so as to stay full for longer which would further prevent you from overeating. It is advisable to consume a diet rich in whole grains, lean meats, nuts and seeds, low-fat dairy products and fresh fruits and vegetables to lose weight the healthy way. But did you know, not all fresh fruits are meant to be consumed while you are on a weight loss journey? 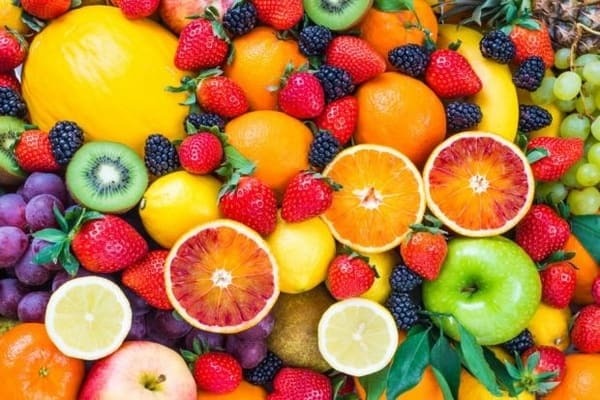 While they are considered healthy, some fruits do not make it to the list of foods that help you lose weight efficiently; majorly because they are excessively sweet, or have a high calorie count. Read on to know more about these fruits that you shouldn’t have while you are trying to lose weight. Any high-calorie fruit should be consumed less. One of these high-calorie fruits is avocado; it is said that 100 gram of this fruit contains about 160 calories. While avocado is a good source of healthy fats, it can up your numbers on the weighing scale easily when consumed beyond reasonable amounts. This doesn’t mean you completely eliminate it out of your diet, it is best to eat this fruit in moderation. While they are great for overall health, grapes are loaded with sugar and fats, which makes them the wrong fruit to eat while on a strict weight loss diet. 100 grams of grapes may contain 67 calories, and 16 grams of sugar, which means regular intake of these tiny delights could cause weight gain. Dry fruits like prunes, raisins, et al have more calories as they are void of water content. It is said that one gram of raisins may contain more calories as compared to grapes. So, about a cup of raisins contains 500 calories and one cup of prunes contains over 450 calories, which is a lot if you are watching your weight. It is best to eat dry fruits in limited quantities. Yes, you read that right! Banana is super-healthy, but it is something you cannot have in excess. Bananas come loaded with calories and have excessive natural sugars present in it. One banana has about 150 calories, which is about 37.5 grams of carbohydrates. So, if you are someone who consumes 2-3 bananas every day, chances are this could lead to weight gain. It is best to have just one banana a day. Being low in the glycaemic index, banana can, in fact, make for a healthy snack when enjoyed in moderation. Tropical fruits like pineapple and mango may have hidden calories that can hinder your weight loss plans. It is best to avoid these fruits that are excessively sweet too. All these fruits are healthy, and at no point should you fear to consume them! But eating them in large quantities could slow down your weight loss journey. It is best to practice portion control and lose weight the healthy way. Also Read: 7 Best Ways to Earn Money Online.